Good morning. It's Friday, April 5. • Drought is expected to wipe out the Sierra's Lyell Glacier. • MAGA hats set off ugly confrontations in the Bay Area. • And a tour of some of California's best campgrounds. 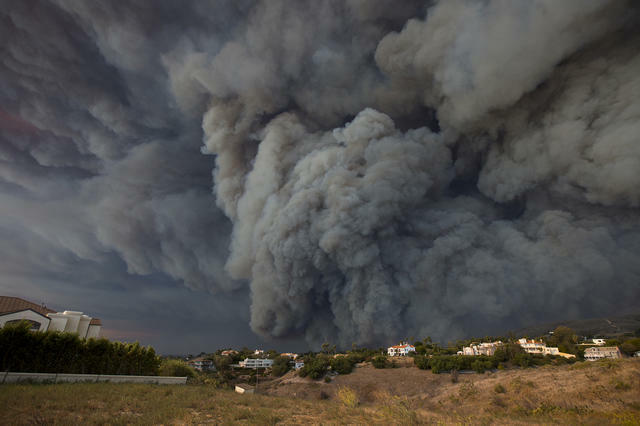 A massive smoke plume rose above the Woolsey fire in Southern California last November. Emergency preparedness agencies failed to adequately warn communities in Mendocino, Santa Barbara, and Butte counties about approaching wildfires. Scores of people died. Now, under heightened pressure, the state's emergency services agency is issuing new protocols for officials across California who until now adhered to divergent practices. One crucial guideline: "Err on the side of protecting the public." A view of Lyell Glacier. 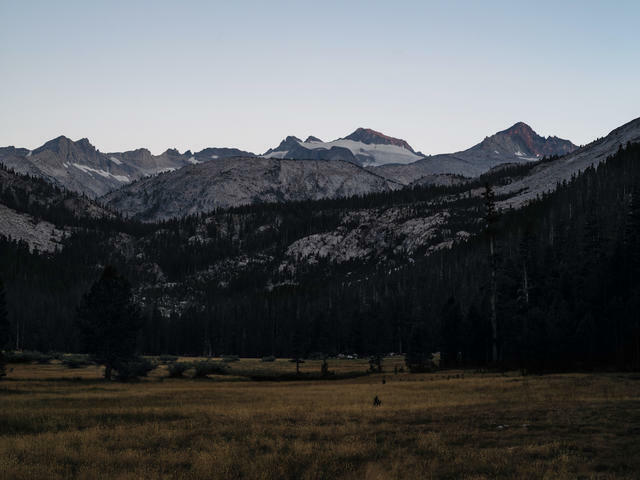 In 1871, John Muir figured out that an ice field in the Sierra Nevada was in fact a glacier, a remnant of the ancient engine behind the creation of Yosemite. At its current melt rate, geologists expect Lyell Glacier to disappear in four or five more years of drought. In reality, it's no longer a glacier at all; it's already dead. An "absolute barn burner," "genuinely brilliant," "the best essay I've read this year." People are raving about a column by Caitlin Flanagan in The Atlantic on the college admissions scandal. She writes, "The collapse of manufacturing jobs has been to poor whites what the elite college-admissions crunch has been to wealthy ones: a smaller and smaller slice of pie for people who were used to having the fattest piece of all." 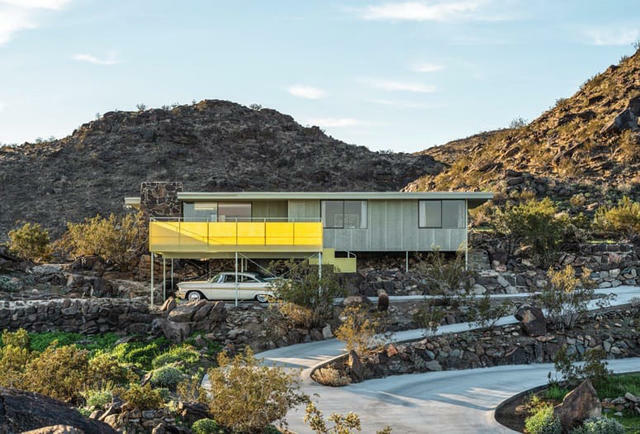 This Albert Frey home was featured during Palms Springs' Modernism Week. Dr. Tom Hoffman discussed the Mars mission in Pasadena last year. 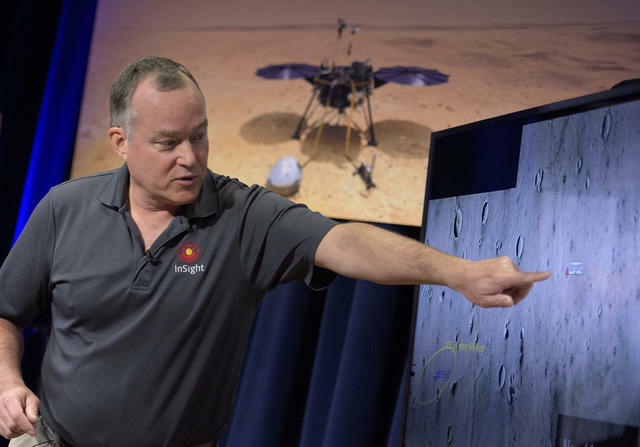 On this week's California Sun Podcast, host Jeff Schechtman chats with Dr. Tom Hoffman, project director of the Mars InSight mission at NASA's Jet Propulsion Laboratory. A native Californian, Hoffman explains how the Pasadena lab became ground zero in the quest for interplanetary travel. Livingston has distinguished company: Attorney General Xavier Becerra said he won't release old misconduct files despite a recent appeals court ruling that they are public documents. A.P. 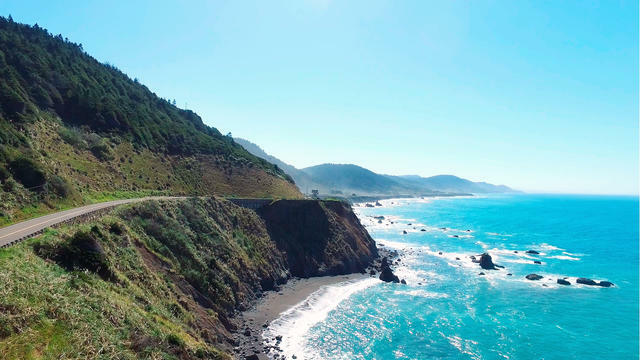 Members of the Hart family were found dead along this stretch of the Mendocino coast. Alameda County Sheriff's Office via A.P. A special coroner’s jury ruled that the deaths of two women and their six adopted children resulted from a deliberate act when the SUV they were traveling in sailed off a Mendocino County cliff last year. Jurors concluded that one woman, Sarah Hart, had searched death by drowning online and her wife, Jennifer Hart, had stepped on the gas. "It is my belief that both Jennifer and Sarah succumbed to a lot of pressure," a law enforcement official said. 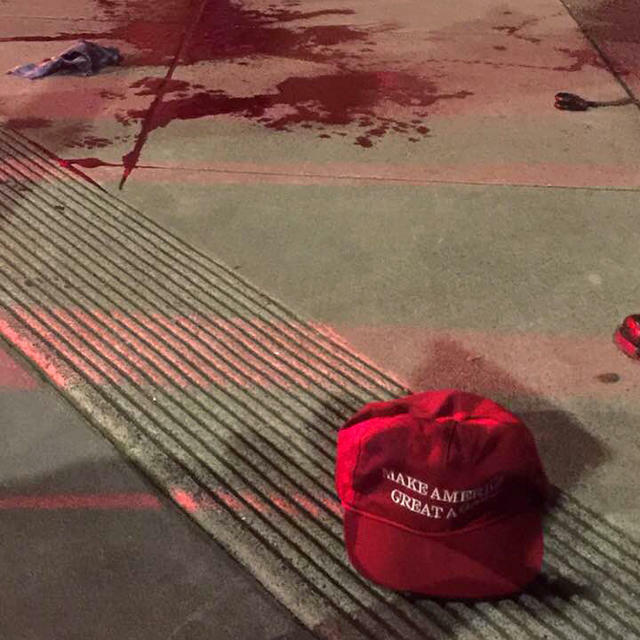 Splattered blood and a MAGA hat were left at the scene of a sword attack in San Francisco. 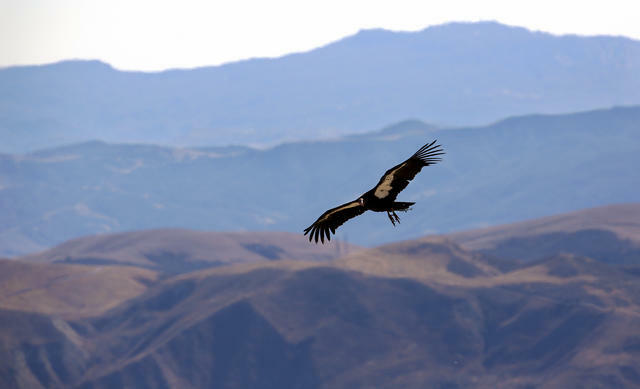 A California condor soared over a wildlife refuge in Ventura County in 2014. 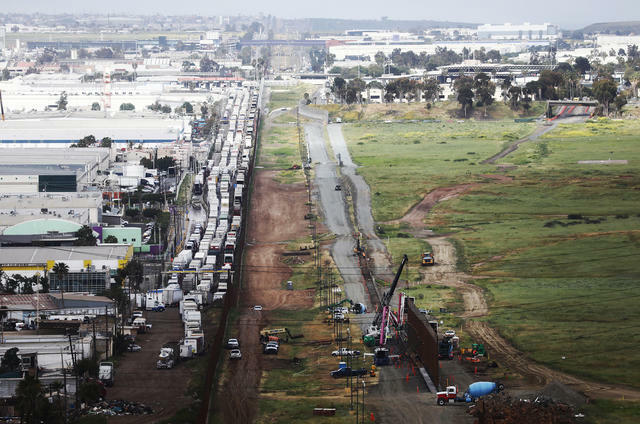 Crews worked on a border barrier in Otay Mesa on Wednesday. An analysis by the L.A. Times and ProPublica found that the Border Patrol allows its agents wide latitude to engage in high-speed chases to catch people entering the country illegally — with often deadly results. Over the last four years, agents conducted more than 500 pursuits near the border, with a third ending in crashes. At least 22 people died and 250 were injured. President Trump is due in Calexico on Friday to tour a new section of border fencing. Locally elected officials — all Democrats — say they're tired of hearing Trump portray their region as a crisis zone. Rep. Juan Vargas said his constituents were preoccupied with sewage flowing across the border. "Our border communities do not want or need a wall," he said. "They are pleading for urgent assistance for the New River as a matter of public health and safety." 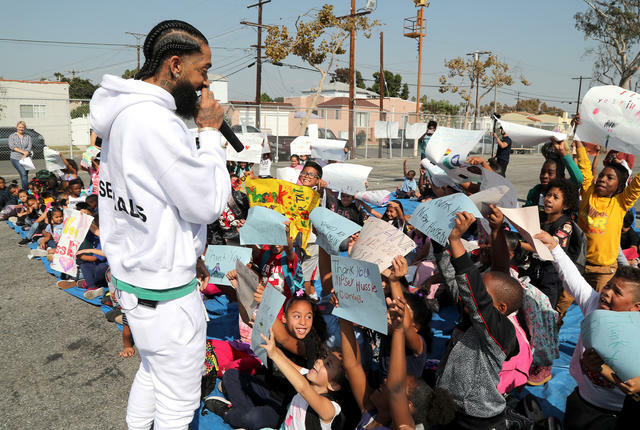 Nipsey Hussle interacted with kids during a basketball court refurbishment event in Los Angeles last fall. A Costa Mesa woman on safari in Uganda was abducted along with her driver by gunmen seeking $500,000 in ransom. Law enforcement officials said the kidnappers grabbed Kimberly Sue Endicott, an aesthetician, and the driver while on an evening game drive and disappeared into the bush. Now's the time to set your summer camping plans. Pictured above are the bluffs in Jalama Beach County Park on the Central Coast. The remoteness of the park has made it a favorite among hard-core beach campers. Bonus perk: A grill at the park makes a burger so delectable that its name, the Jalama burger, is trademarked. 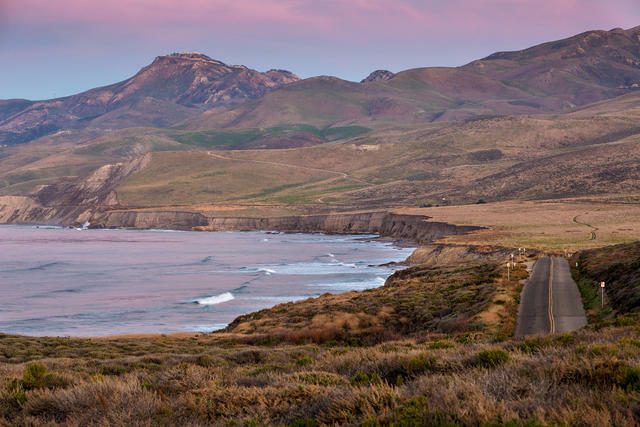 The L.A. Times included Jalama in its list of "8 great campgrounds in California." New life is moving into a decaying town on the Salton Sea.